Review: can the Invoke smart speaker with Cortana rival the HomePod? 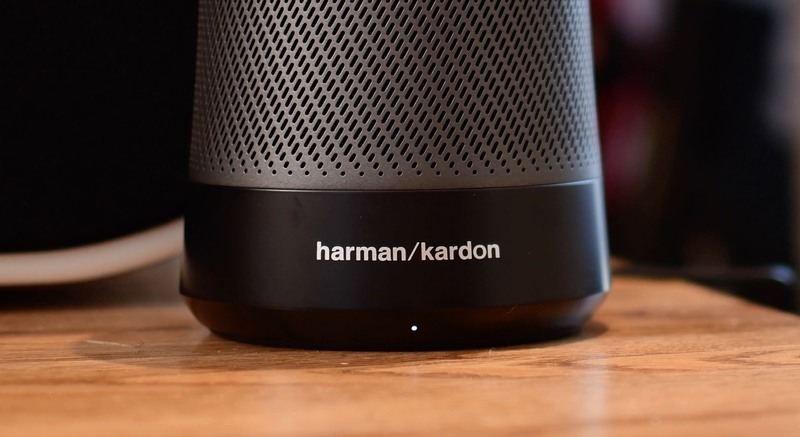 With Apple’s HomePod set to to be released in stores in just a few days time, I thought it would be a great opportunity to take a look at a competing option, the Invoke by Harman Kardon. This Wi-Fi-connected speaker is powered by Microsoft’s virtual assistant Cortana. Be sure to check out the hands-on video, especially to get a sense of what Cortana’s voice is like. Then, read on for our full review and opinion. If creating a smart speaker wasn’t enough, the Invoke is seemingly aimed squarely at the HomePod. Apple made the conscious decision to go with a more “premium” audio product compared to the questionably sounding Echo devices. 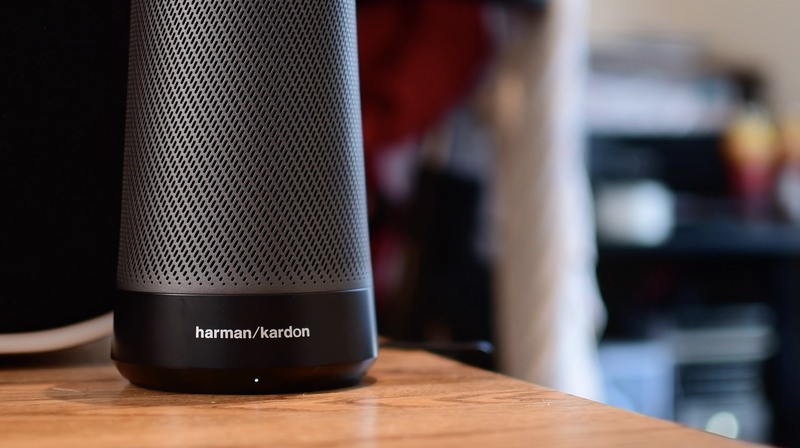 Invoke’s audio was crafted by Harman Kardon, which is known for some impressive audio products. That puts the HomePod and the Invoke in direct comparison as premium audio smart speakers, and differentiated from the swaths of cheap Google Home Minis and Echo Dots. I was actually quite impressed with the audio from the Invoke, offering a surprisingly deep bass to compliment the solid mids. I did feel the highs could be lacking at times, but never messy. It also managed to stay in control, even at higher volumes. I’m not sure that rap is the target audio this speaker was tuned for, but rock, classical, etc all sounded well balanced. One of the biggest questions here is Cortana. I can say that after spending a couple weeks with her, I’m both impressed, and disappointed. First, let’s talk about why I was impressed. The main reason is simply the quality of Cortana’s voice. She sounded quite pleasant, and more natural than Siri. She had quite a bit of inflection to her voice that was more fluent than competing virtual assistants. This was particularly noticeable in canned responses, like her telling a joke. She also did a good job answering questions, when they were within her skill set. Sometimes I still had to rephrase queries however, like when pondering how many episodes there have been of The Simpsons. On the other hand, Cortana’s skill set seemed limited. Especially if you don’t live in Microsoft’s ecosystem. It can pull calendar appointments from your Office365 account, but that is it. Same with reminders and to-dos. That is perfectly fine if that is where the bulk of your information is, but I know the vast majority of people are living in iCloud, or Google’s G-suite. It is capable of making calls, but only using Skype. When I did test out calls, people often said I sounded like I was in a tunnel, or distant. Oddly, you can’t use it for making calls over Bluetooth, like nearly every other Bluetooth speaker. 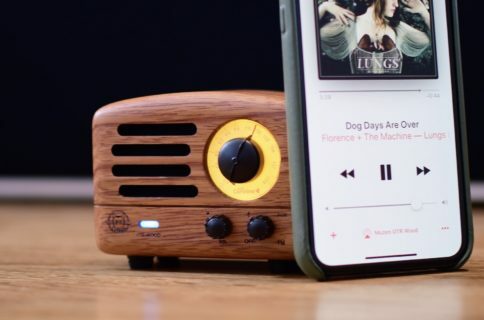 If you want to listen to music, you can stream your personal library over Bluetooth, or it has controls for Spotify, TuneIn, and iHeartRadio baked in. 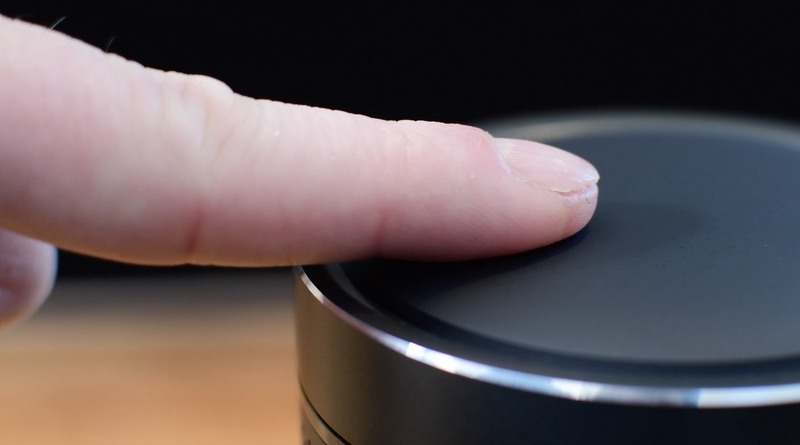 I found the controls on the speaker itself quite pleasant, with a tactile ring around the top to adjust volume, and a touch sensitive surface on the top. 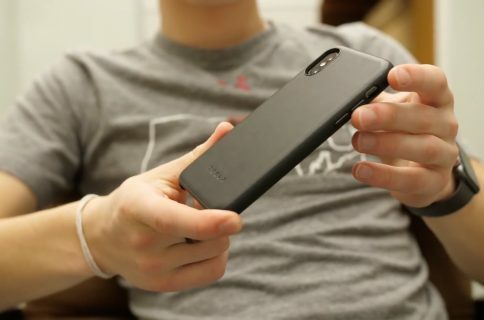 If you are worried about privacy, there is a physical button located on the bottom that allows you to mute the microphone so it isn’t always listening. I both like and don’t like the Invoke. The speaker itself sounds quite good and I would be happy to use it in my home. But on the other hand, while I like Cortana, the fact that reminders, to-dos, calendar appointments, etc all go to my seldom used Office365 account is kind of a dealbreaker. Of course, we are on a more Apple-focused website so my concerns may be overblown, but honestly that is why I’d still prefer to pickup a HomePod over the Invoke. The Invoke is in a nice position, squarely between the cheap and poor sounding Echo Dot and Google Home Mini, and the much more expensive Sonos products and the HomePod. 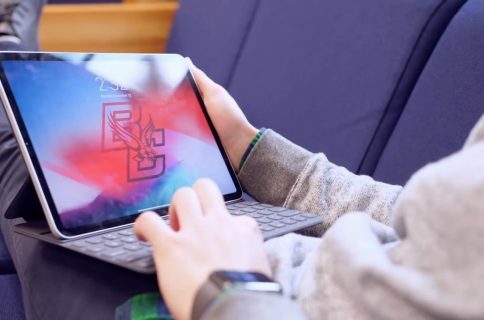 I could easily see Microsoft and Harman Kardon positioning this as more of a business device and leaning into the reliance on Microsoft’s services in the future. 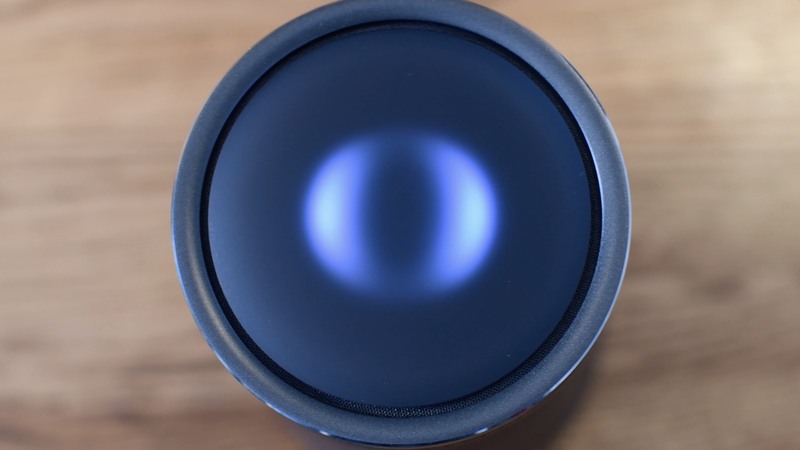 If you fancy yourself an Invoke, they can be currently found on Amazon for $113.95. Let me know what you think of the Invoke, down in the comments below.